SNES Central has been around for 18 years! Here are some random thoughts about that. SNES Central had its beginning on a cold afternoon on January 7th, 2001. At the time, I was a first year undergraduate student, and I got the idea of creating a SNES site when I grabbed our old SNES unit and a TV from my parents' place during the preceding Christmas break. At the time, there were not really a lot of SNES focused websites, and I thought it was a good idea for a website. 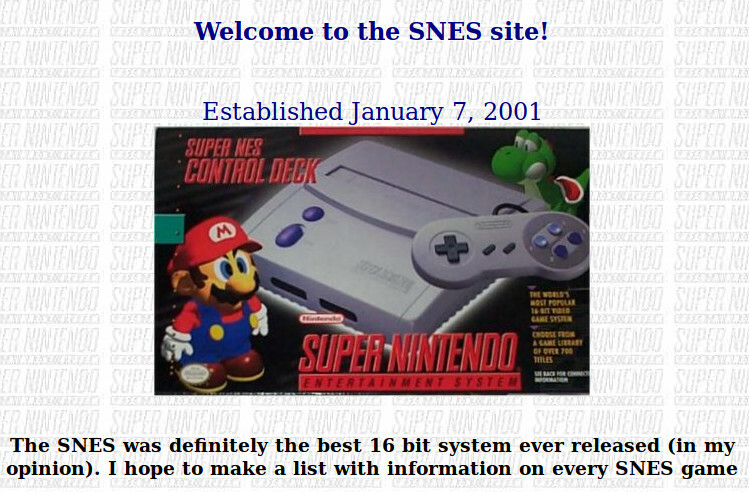 The original incarnation of the website was called The SNES Site. The seeds for this website began several years before, when I got a Game Genie. This was around 1998, and I used the Internet for the first time. 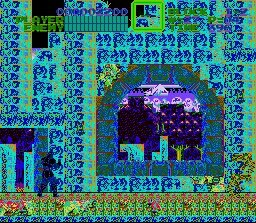 I discovered a website called the Game Genie Code Creators Club, and discovered how to make my own codes. For some reason, I applied the methods to Super Castlevania IV, and made a ton of cheats. I also did a bunch of codes for Final Fantasy II (IV), and found out not only how much cut stuff was in the game, but also how memory addresses worked. This skill carries on with my prototype investigations. In summer 2001, I changed hosts and really focused on adding short blurbs about random games I would try out in an emulator. During this time, I also discovered IRC, and the emulation community. I joined the SNES9x and ZSNES boards, even becoming a moderator on the later. I discovered obscure Japanese-only games like Umihara Kawase, and the first unreleased game with a leaked ROM image, Star Fox 2. The summer ended, and the updating slowed to a crawl. I realized how difficult it was to maintain a website with a bunch of links using plain HTML (everything was hand coded at that point). 2002 was a difficult time, as early in the year I experienced a severe tragedy. I ended up giving the site to a guy named Cooldude. This actually was the thing that probably saved this site, as he revamped the site, and redesigned it with Dreamweaver, which made it much easier to update. He also asked for a new name for the site. I gave a few suggestions, and SNES Central was selected. Although Cooldude had taken over the site, he decided updating it was not for him, and I ended up taking back control of the site. Summer of 2002 was when many of the popular aspects of this site started to take shape - prototypes, unreleased games, scans. After 2002, the site was sporadically updated, but over time a lot of content was added. I started to become part of the collector scene by joining the Digital Press message board. Although I never really became a big time collector, the information gathering done there really influenced the direction I took with SNES Central. In 2004, however, it was clear that maintaining a site with Dreamweaver was not sustainable, especially when I had so much going on in my honours thesis year. Some encouraging words from Frank Cifaldi was probably the spark that kept me from quitting altogether. There was about a year with essentially no updates as I started coding a new version of the site using PHP. It was kind of painful, since I hadn't really done any coding since 2001. 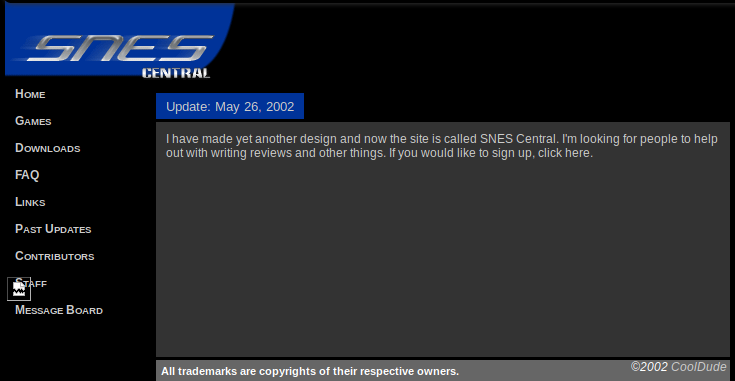 It was completely worth it, and by August 2005, a new version of SNES Central was ready. It took several years to migrate everything over, but eventually it got there, and all new stuff was added. The basic site layout and structure has remained basically the same since then. Over time, the updates have come in spurts. Sometimes there hasn't been much, as life has meant the site was not a priority. I've had a lot of fun with many things. 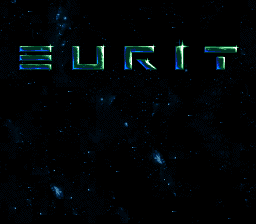 I remember getting a treasure trove of interesting prototypes from Lost Levels, including interesting unreleased games like Eurit. Being the first person to fully investigate an unreleased game is always a cool privilege. During the past three years, I managed to add entire sets of scans of USA and PAL games, thanks to the efforts of byuu and Kester W. I find it very soothing to build up a big database. My training as a research scientist really drives my interest in data collection and analysis. The past three years has probably seen the largest amount of content added to the site than any other interval. The recent updates has been aided by creating some python scripts to automate the updating process. There are a lot of people I want to thank, who have been influential on keeping this site going for so long, and the directions I took with it. I'd like to thank Cooldude, who saved this site from oblivion, and put the site on a more sustainable path (as well as hosting it for a while). Edgeemu served as a host for this site for several years, free of charge. After some issues, I moved this site to private hosting provided by my former roommate Neil. Currently, this site is hosted by Matthew Callis, many gratitude is to him. My interest in prototypes and unreleased games were very much influenced by the efforts Martin at NESWorld, and Lost Levels. The SNES emulation scene has helped me out many times, and definitely pushed this site along in many ways. Pagefault, Nach and the ZSNES community helped me out in good and bad times. Byuu, in addition to giving me tons of scans, has also taught me to cool things down and focus on the site, rather becoming invested petty dramas around the gaming Internet. I am very thankful to the many people who were regulars at the Retrogaming Roundtable at Digital Press, many who I still chat with regularly on the IRC channel that was an offshoot of that board. In the early stages of this site, I had an enjoyable time chatting with Antster, who ran SNESzone, which was at one time the biggest SNES focused site on the Internet. Another person who helped out early on was MD Pontiac, who at one point had his own SNES focused website, but sent me all his reviews when I was just starting out (it was great to hear back from him last year). The collection of scans on SNES Central got its beginnings with large contributions by Cowering and JohnDie. There are many other contributors, such as Catfish_82, who submitted a bunch of reviews and strategy guides, and MarcTheMER, who wrote a SNES development section. Although these things are no longer a focus on this site, it really helped to populate the site with content during the earlier years. I have been working on SNES Central for literally half of my life. What began as a simple project to learn how to make a website has become a massive database. In the early years, I had hoped that this site would become a big collaborative network with many staff, but in the end it was always my own personal project. The future is looking great. I have been adopting to new platforms such as Discord and Twitch, and adding more content than ever before. As always, the updates might come in spurts, but I have no doubt that this site will continue long into the future. Thank you all for stopping by.